No one does weddings like APE does! 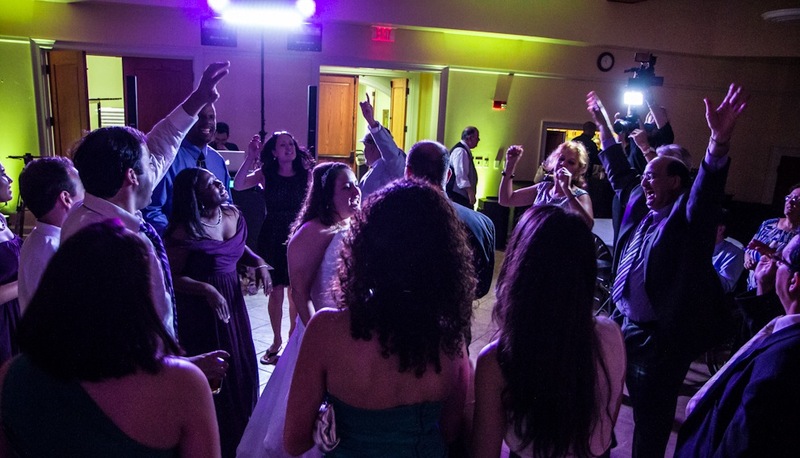 With energetic MCs, sensational DJs, and breathtaking lighting, you’ll be celebrating “I do” with the best! A Premier Entertainment brings something unique to any wedding: we combine class with chic. No longer do a bride and groom have to choose between a well-trained MC and a top-of-the-line DJ; we have worked hard to truly combine both. As a wedding MC, we take pride in making sure we customize every part of the reception to really make it uniquely yours while making sure to create a seamlessly-mixed soundtrack for the entire day. Aside from wedding DJs and MCs, we also provide breathtaking décor: pipe and drape, lighting, monograms, uplighting, special effects, animated cakes, string lighting, and custom wall patterns are just a few things that we offer to give you a wedding reception unlike any other. So go wild! Let us know every option that you fall in love with and we’ll create a unique wedding package, with or without a DJ! Need sound for your ceremony? We can provide you with any many microphones and instrument inputs as you need, or we can handle all of your wedding ceremony music! Having your wedding out by the beach? No worries- we offer complete battery-operated systems that are 100% reliable even in the harsh Florida weather! A Premier Entertainment serves all of the Polk, Highlands, and Hardee area including Lakeland, Bartow, Mulberry, Lake Placid, Avon Park, Bowling Green, Fort Meade, Sebring, Orange and Hillsborough counties… pretty much all of Florida! Hablamos español. Nuestros DJs saben la música merengue, salsa, cumbia, tropicana, reggaeton, etc! We also specialize in Christian events!